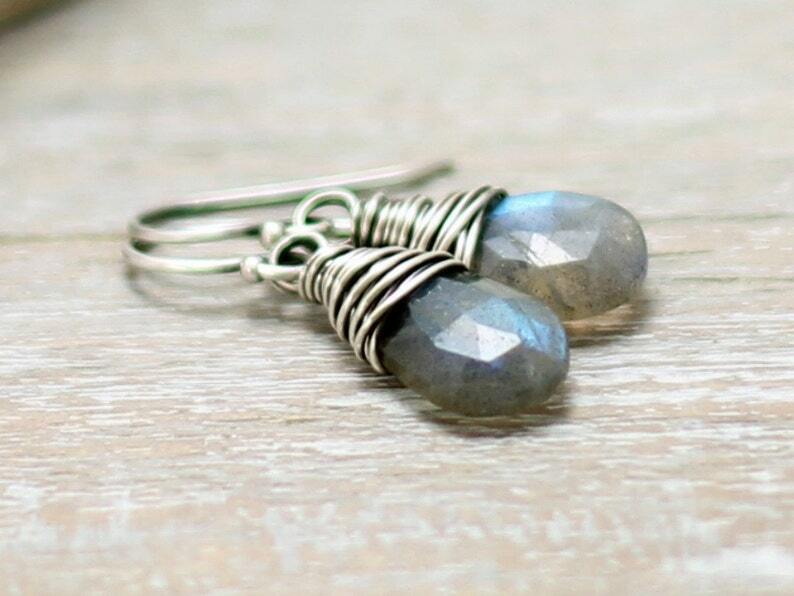 Iridescent, faceted, blue flash labradorite gemstones are wire wrapped in sterling silver. 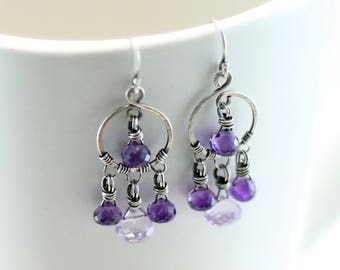 They dangle from sterling silver ear wires. The sterling silver has been oxidized to a dark patina and hand polished for added contrast. Total earring length: approximately 1"
Every purchase will arrive individually gift wrapped. Wish the stone was a little bigger. 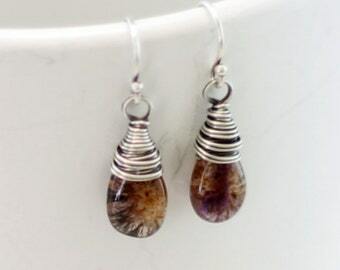 I expected these stones to be more brilliant for the price, but they are nice earrings. I accept payment through PayPal and through Etsy's direct checkout. Ohio residents will be charged 8% sales tax. If you are not completely satisfied with your jewelry, you may return it for a refund. • Jewelry must be returned, unworn and in its original packaging, within 7 days of delivery. • I will issue a full refund, minus shipping, upon my receipt of your return. • Earrings may not be returned once they have been worn or tried on. • If the item is not returned in its original condition, the buyer is responsible for any loss in value. • Please contact me for return instructions before attempting a return. • Due to their nature, custom orders and customized items are not returnable or refundable. • Orders placed before 5PM EST will ship on the next business day. • Standard Shipping is via USPS First Class Mail (2-5 days) with delivery confirmation. • Upgrades to USPS Priority (2-3 days) and USPS Priority Express (1-2 days) are available at checkout. • USPS shipping times are estimates, and I cannot guarantee delivery dates. • Please make sure that your shipping address is correct and up to date to avoid delays. • Orders will ship via USPS First Class International Service. • Delivery times for international orders can vary and may take up to 8 weeks in some instances. • Please be aware that your parcel may incur duties and customs fees, and payment of these fees is the sole responsibility of the buyer. Please check with your local customs office for more information. • Please refer to the accurate detail measurements that are provided in the description before making your purchase. Most of my jewelry is dainty and delicate. Photos are taken close up in order to show as much detail as possible and jewelry may appear larger than actual size. • Individual screens may display colors differently--actual color may vary from what appears on your screen. • Hand cut, natural gemstones may have inclusions, or other flaws. 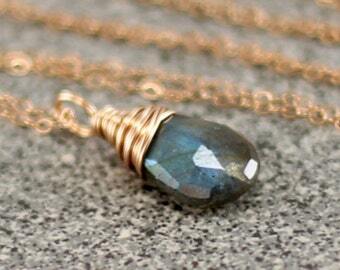 Gemstones in pieces marked "made to order" may vary slightly from the item pictured. • All purchases will arrive packaged for gift giving in a recycled paper gift box tied with a bow. • Please let me know if you would like a paper receipt. I do not automatically include a receipt as many of my items are shipped as gifts. Orders shipped outside of the United States are required to include a receipt with prices for customs purposes. • If you would like me to include a note for your gift recipient, please include your brief message in the "message to seller" section at checkout. • Special requests are welcome! Please contact me.